Travelling with pets is never easy and can take a fair amount of planning and preparation. Having the correct paperwork, veterinary health checks and vaccinations are vital if journeying abroad. Each country has its own laws and regulations for animal importation and doing your homework is an essential part of the process. Check with your own Vet who should know the requirements for the country you’re visiting. These will usually include what vaccines are required [most likely rabies] and how far in advance they should be administered. Whether or not you are required a Fit To Fly health check or certificate [if required usually 10 days prior to flying and usually translated into the language of the country to which you are flying]. It may also have to be sent to a government department for verification or approval. 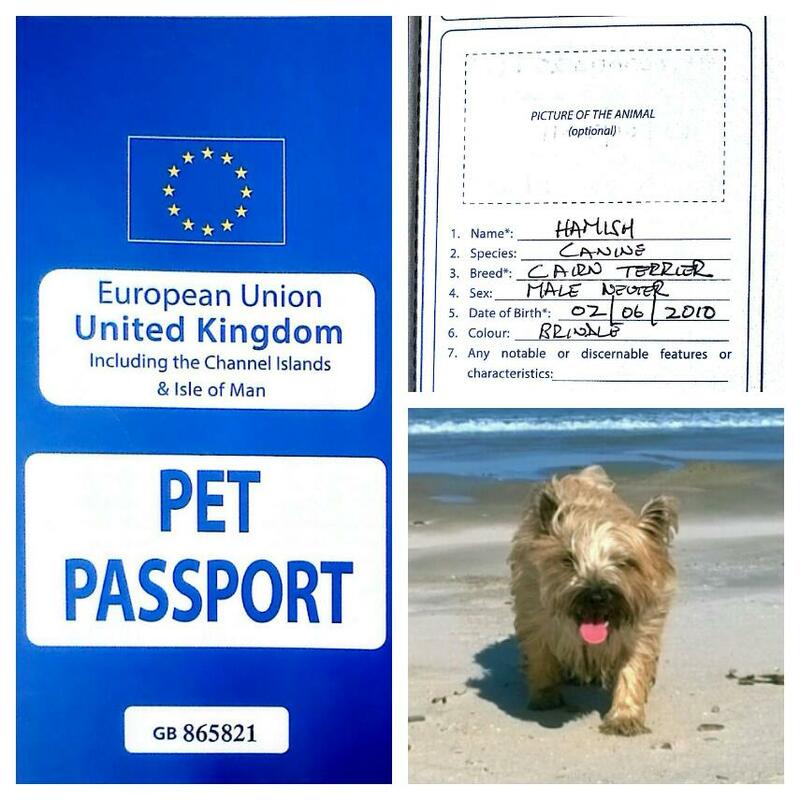 Pet Passport [EU and Great Britain] which will include a record of your pets vaccines and a Fit to Fly section; stamped and signed with your Vets name and address. Your pets vaccination record card. Having the wrong paperwork can cause delays and your pet could be refused entry into the country you’re visiting; in which case they may be sent back to the original destination at your expense or placed into quarantine for a period of time, also at your expense. What is the purpose of your visit??? Check with your airline on their pet policy as some do not transport animals. Others [most notably Delta and United] require you to use a broker to carry out the arrangements on your behalf. Typically, airlines will only allow one pet per person. If travelling with multiple pets, check with your airline. Service dogs and smaller dogs and cats are usually allowed into the cabin but must be under your control at all times. Smaller dogs and cats should remain in their carrier and be placed under your seat for the duration of the flight. They will be subject to the same import/export regulations as pets in cargo. If making your own arrangements make sure you purchase the correct carrier for the size and type of pet you wish to ship and make sure it meets the correct regulations. Regulations may differ if you are not on the same flight as your pet. Check with your airline as a broker may have to be used. Weather conditions may factor should the temperature rise above or fall below the maximum or minimum levels deemed safe. If the weather is too hot or cold your pet may be removed from the aircraft for safety reasons. Morning or evening flights may be an option. It is always good to check with the cabin crew to see if your pet is on board. It is also good to remind the crew that you have a pet flying in the cargo hold so temperatures can be adjusted accordingly. Check ahead to see if public transport allow pet’s. This will save time should you need to make alternative arrangements for onward and return journeys after you land. Finally, make sure your pet is allowed to fly or is accepted at your destination. Certain airlines and countries will refuse birds, wildlife and certain breeds of dog.